The distribution of zeros of the polynomial eigenfunctions of ordinary differential operators of arbitrary order with polynomial coefficients is calculated via its moments directly in terms of the parameters which characterize the operators. Some results of K.M. Case and the authors are extended. In particular, the restriction for the degree of the polynomial coefficient of the ith-derivative to be not greater than i is relaxed. 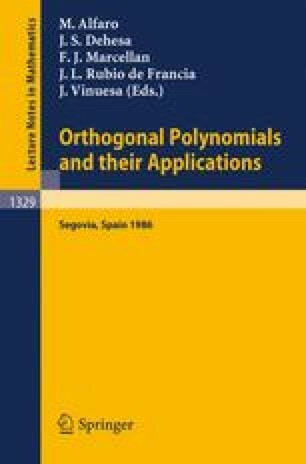 Applications to the Heine polynomials, the Generalized Hermite polynomials and the Bessel type orthogonal polynomials (which no trivial properties of zeros were known of) are shown.